I recently had the privilege of connecting on Linkedin with Dr. Lee Wilkinson, a seasoned expert on the topic of autism spectrum disorders (ASD). Dr. Wilkinson holds credentials as a nationally certified school psychologist, registered psychologist, chartered scientist, and certified cognitive-behavioral therapist. His numerous publications revolve around the topics of behavioral consultation, therapy, and individuals with autism spectrum disorders. 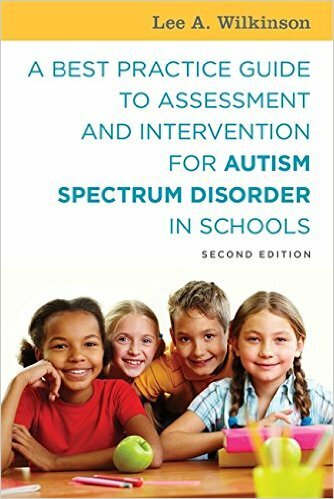 After learning about his award-winning text, A Best Practice Guide to Assessment and Intervention for Autism and Asperger Syndrome in Schools, I hoped that he might agree to share his insight and expertise with Preschoology readers. And he graciously did! The information he shares here will be particularly helpful to parents with concerns that their young child displays signs of autism. Q: If a parent has concerns that their child displays signs of autism, what first steps would you recommend towards finding help? A: My best practice recommendation is that a child who shows signs (red flags) of autism spectrum disorder (ASD) be immediately referred to a health care provider (pediatrician, family practitioner) for screening. If parents are worried about their child’s development, they should actively voice these concerns to the child’s pediatrician and not feel as if they are an alarmist. It is especially important that a standardized screening tool be administered at any point when parents express concerns or have questions about their child’s social, communicative, and play behaviors. In fact, the American Academy of Pediatrics (AAP) recommends that all children be screened with a standardized broadband screening tool at the 9-, 18-, 24- and 30-month visits, and an ASD-specific screening tool at the 18- and 24-month visits. When a screening indicates a possible delay, the child should be referred to an Early Intervention (EI) program (statewide interagency system providing comprehensive services to infants and toddlers with disabilities) and directly for a comprehensive assessment by an “experienced” multidisciplinary team that includes, but not limited to a developmental pediatrician, pediatric neurologist, speech/language pathologist, child/clinical psychologist, special educator, audiologist, and occupational therapist. Depending on where a parent lives, there might be a university-based autism clinic or research facility that provides diagnostic evaluations and intervention services. For children age three and older, evaluations and special services can be provided through local school districts. Finally, it is especially important that parents seek services from professionals with training and experience in assessing and treating young children with ASD. Q: How would you advise a parent who has concerns that their very young child displays signs of autism, but who is instructed by specialists to hold off on evaluations and wait until the child is older? A: The signs and symptoms of autism do not generally appear suddenly, but rather develop gradually during the first three years of life. The earlier the child is identified and intensive intervention can begin, the better the outcomes tend to be for children with ASD. It is important to note that there are no “absolute” clinical indicators of autism in very young children and that there is wide variability in the course and timing of typical development and personalities of infants and children. Although there is some research evidence that the cardinal features of autism can be identified very early in life, the most reliable diagnosis is generally made by trained professionals when a child reaches approximately 2 years of age. Because very young children are difficult to evaluate and diagnostic tests and procedures tend to be less reliable than those with older children, many specialists are hesitant to refer or evaluate a child before age 3 or 4. Although ASD is a complex disorder and often difficult to diagnose in young children, it is my opinion that it is best to err on the side of caution which means screening and providing services for young children who show atypical development which may be characteristics of ASD. I recommend that parents remain clear, positive, and persistent when discussing their concerns with their health care provider or specialist. This includes being proactive and indicating that they want to move forward now (and not wait) with a screening or evaluation. Even if a health care professional or specialist continues to be reluctant, parents can contact their local early intervention (EI) program themselves. 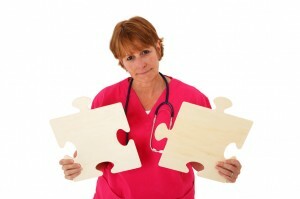 The Autism Society of America has local chapters which may also be of help in locating clinicians and services. Finally, I always recommend that parents continue to be vigilant and keep an ongoing record of behavior that appears atypical or concerning. This information can be very useful in any future assessments. Q: I’ve observed that young children might receive multiple labels before specialists determine a diagnosis of autism. For parents, this can be an emotional roller coaster and very frustrating. How do you explain this phenomenon and help ease parents through the process? 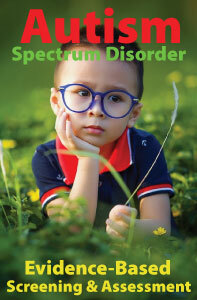 A: It is not unusual for many children to receive multiples labels before being diagnosed with ASD. The delays or atypicality in social development, communication, neurocognition, and behavior will vary in severity of symptoms, age of onset, and association with other childhood disorders. The challenge for practitioners is to determine if the symptoms observed in ASD are part of the same dimension (e.g., the autism spectrum) or whether they represent another developmental disorder. Consequently, it can be difficult to “rule out” other developmental disorders whose symptoms are often observed in ASD. Moreover, differences in professional opinions are particularly evident for young children with atypical developmental concerns. A child might present with a delay in language development and be later diagnosed with a receptive or expressive language disorder but not demonstrate the social impairment characteristic of ASD. A global developmental delay might also be diagnosed. Many children identified with ASD receive an initial diagnosis of attention-deficit hyperactivity disorder (ADHD) or a sensory processing disorder. If a child does not receive a diagnosis of ASD, I recommend that parents ask for an explanation as to why their child does not currently meet the diagnostic criteria. Because ASD is a behaviorally-based diagnosis, I suggest that parents continue to observe and carefully monitor their child’s social and communication development. If a parent continues to have concerns about ASD, they should seek a second opinion or ask for a reevaluation in 6 months or a year. Dr. Wilkinson also hosts the website http://bestpracticeautism.com. This wonderful resource features up-to-date information on scientifically validated treatment options for children with ASD and a list of best practice books, articles, and links to relevant organizations.